This post is sponsored by Cooked Perfect. All thoughts and opinions are my own. 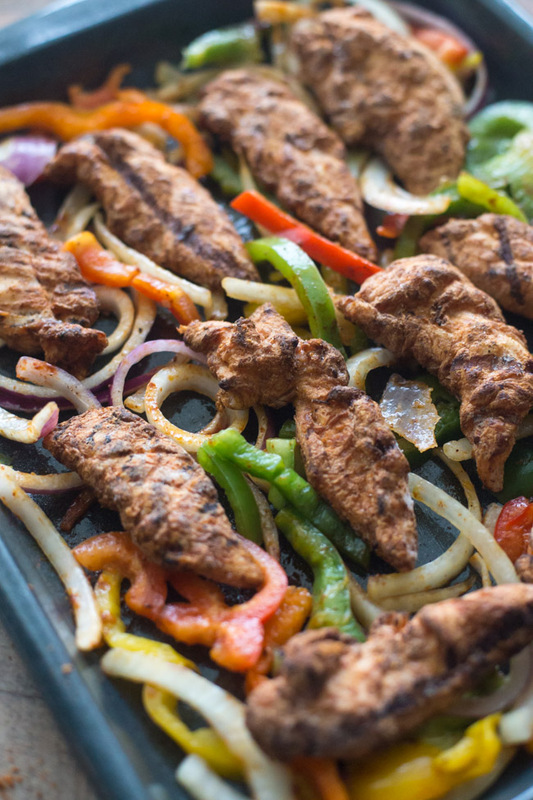 These Fire Grilled Sheet Pan Fajitas are packed full of flavor and are ready in just 20 minutes! 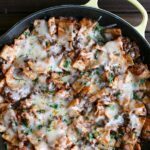 The perfect busy weeknight meal! Hi friends! One of the things that I’ve resolved to do this year is to make more meals at home. We’re always so busy and while we always do dinner together, and I’m thankful for that, I find so many times that we’re filling in nights with take-out because the day has just gotten away from me in all the busyness! 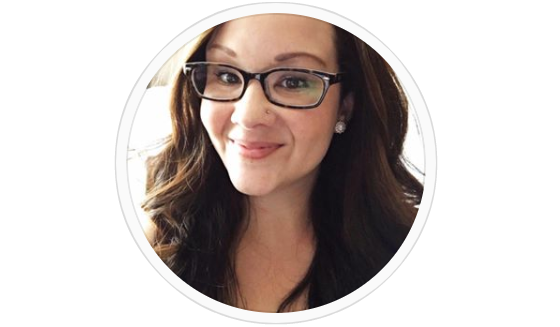 Well I have to tell you about a new product that is making my easy weeknight meal dreams come true, Cooked Perfect Premium Fire Grilled Chicken! Cooked Perfect Premium Fire Grilled Chicken is grilled over an open fire to lock in natural juices. Found in the freezer aisle, they are fully cooked and ready to heat in the oven. They start with premium chicken with unique flavors your family will love. There is no breading – so there’s more chicken in every bite. And better yet, they are marinated and fully cooked, so they are easy to prepare (just heat and serve). This makes adding quality, delicious chicken to your meals a breeze! 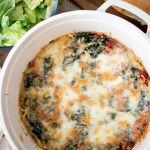 And for this easy weeknight dinner idea, we did just that. 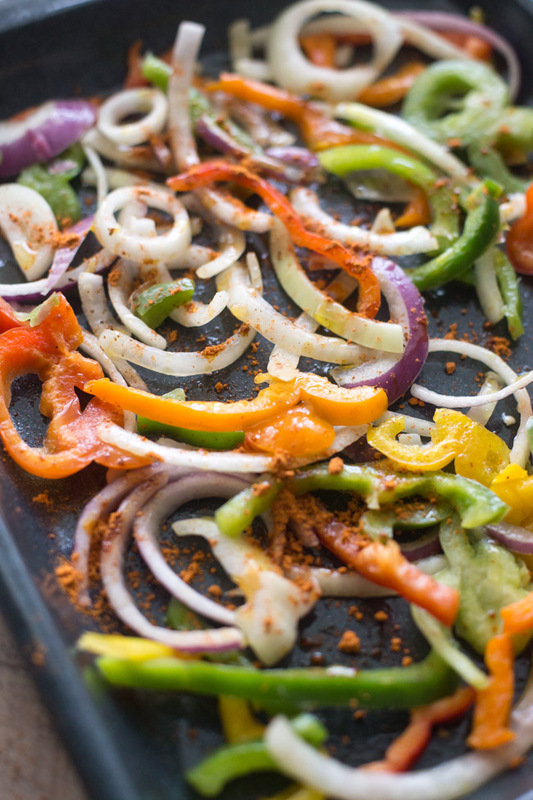 We started with a sheet pan topped with sliced onions and bell peppers and drizzled a little olive oil and fajita seasonings on top. We gave that a good toss to mix then added our Cooked Perfect Premium Fire Grilled Chicken Tenders right on top! 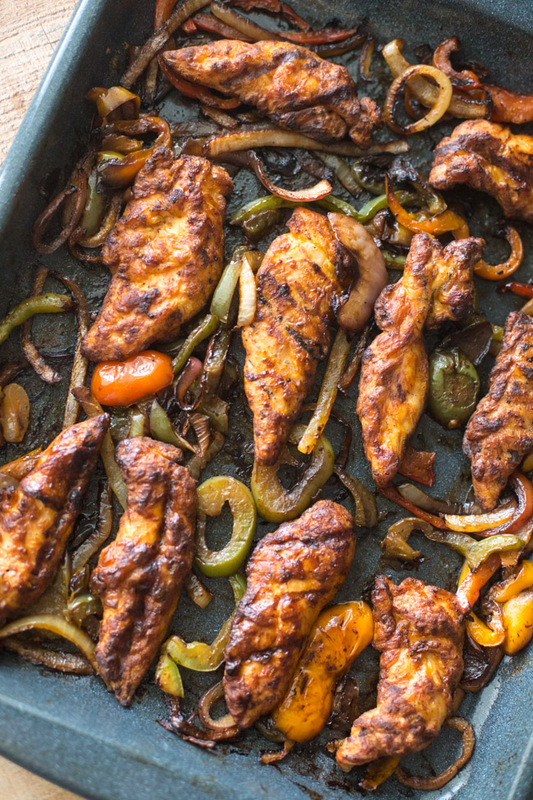 Then we simply popped the sheet pan full of our fajita veggies and Cooked Perfect Premium Fire Grilled Chicken Tenders in the oven at 375 degrees for just 20 minutes! And let me tell you what came out of the oven was a thing of beauty! 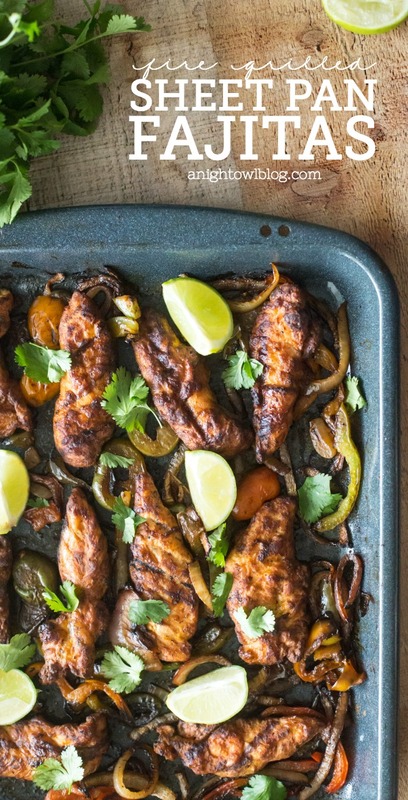 A full sheet of fajita chicken and veggies ready for dinner in just 20 minutes? Unheard of! 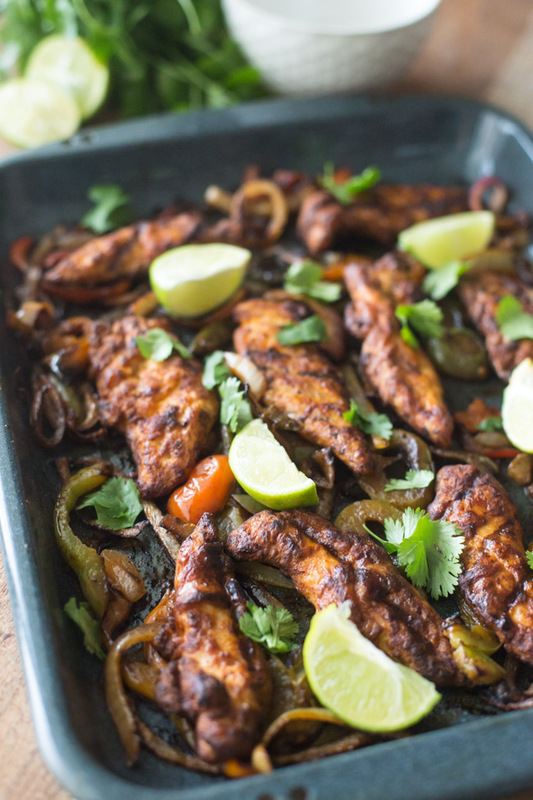 All that was left was to squeeze a little lime juice and fresh cilantro on top. 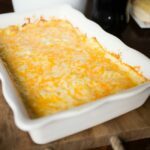 Spray sheet pan with nonstick spray. 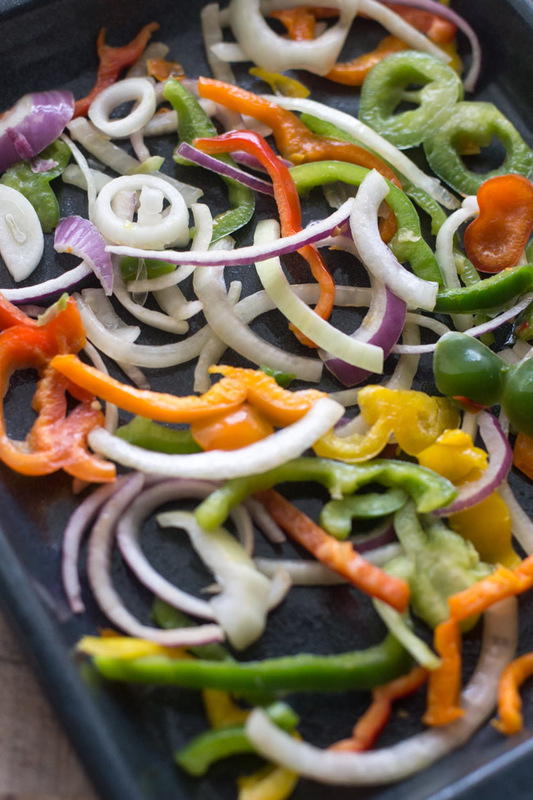 Add sliced bell peppers and onions to the sheet pan. Drizzle with olive oil and fajita seasonings and toss. Top seasoned bell peppers and onions with Cooked Perfect Fire Grilled Chicken Tenders and place in the oven for 20 minutes. 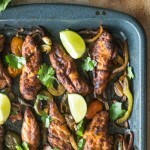 Remove sheet pan from the oven and top chicken and fajita vegetables with fresh lime juice and cilantro. Delicious! 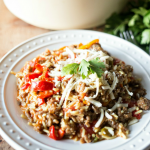 And let me tell you – it not only looks good, it tastes amazing! My husband is really picky when it comes to chicken and he was so impressed by Cooked Perfect Premium Fire Grilled Chicken that he asked where we can get more! And that’s a great question. 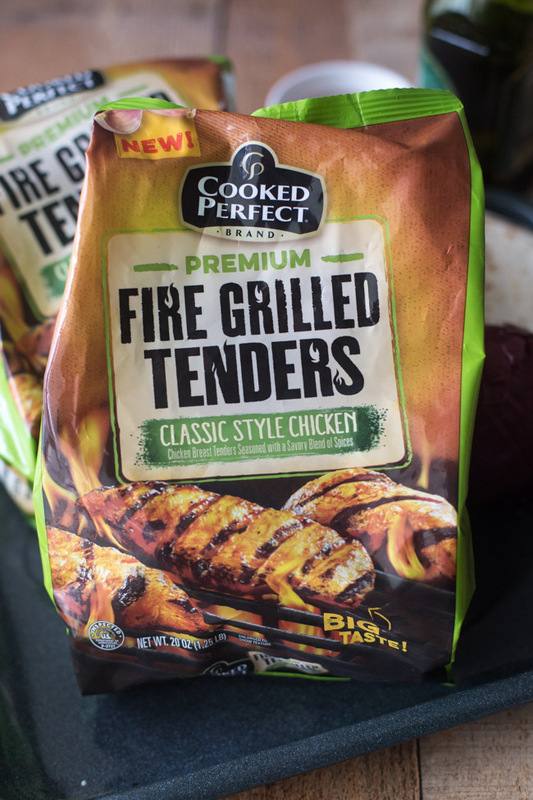 If you’re ready to give Cooked Perfect Fire Grilled Chicken a try, these flavor-filled offerings are now available at Kroger, Stop & Shop, Giant and Wegmans stores. I guarantee once you give them a try you’re going to be hooked! 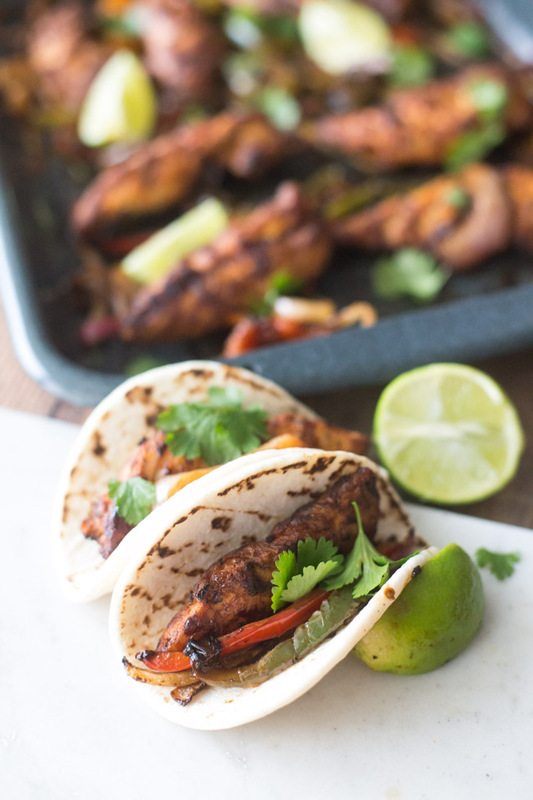 So if you’re like me and want to make more meals at home but find yourself either running out of ideas or time – pick up some Cooked Perfect Premium Fire Grilled Chicken and give these Fire Grilled Sheet Pan Fajitas a try. And do let us know what you think!